Afrikaans singer Joshua na die Reën performed the Oscar-winning song live for us - and you have to watch it! 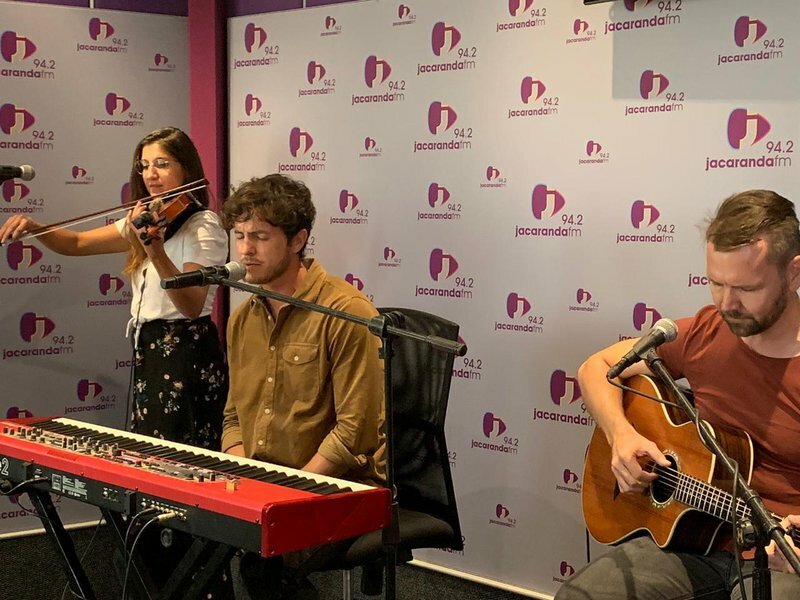 Joshua Na die Reen / Jacaranda FM. The man with the soothing voice, Joshua na die Reën, has become a firm favourite over the last few years. In 2017, Joshua na die Reën won two Ghoemas for 'Best Contemporary Album' and 'Best Song of the Year', and a SAMA for 'Best Contemporary Album (Afrikaans)' for his album and song, 'Die Wêreld Binne My'. As predicted, the biggest contender for 'Best Original Song' at the 2019 Oscars took home the statuette: Lady Gaga and Bradley Cooper‘s smash hit duet from 'A Star Is Born', 'Shallow', picked up the Academy Award. To celebrate, Joshua joined the Breakfast with Martin Bester team to perform a special cover of this song. He also shared some of his musical inspirations, Coldplay and Bon Iver. Joshua also debuted his latest single, 'Soos in Nou' on the show.